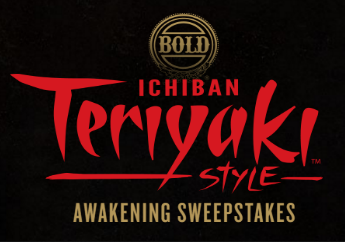 Boar’s Head “Ichiban Teriyaki Style Awakening” Sweepstakes – Win money for a trip to Japan! Win $6,500 for a trip to Japan! ENTRY LIMIT – Limit one (1) Sweepstakes Entry per person and/or email address during the Sweepstakes Period. ELIGIBILITY – This Sweepstakes is open only to legal residents of the U.S.A (excluding the State of North Dakota) and Puerto Rico, 18 years of age or older and the age of majority in your state of residence as of date of entry. If you are not a legal resident of the U.S.A. or age 18 or older and the age of majority as of date of entry, you are not eligible to enter or win a prize. SWEEPSTAKES ENTRY PERIOD – The “Sweepstakes Period” is from 12:00:01 AM Eastern Time (“ET”) June 1, 2016 to 11:59:59 PM (“ET”) June 30, 2016. PRIZES – : (1) Grand Prize: The ARV of a trip for two (2) to Japan. The prize will be awarded as a check for $6,500 payable to the Grand Prize winner to purchase his/her own trip. ARV: $6,500. (1,020) Daily-Win Prizes – 34 per day during the Sweepstakes Period: (14) per day $15 AMEX® Gift Card subject to its Terms & Conditions, including a six (6) month expiration date. ARV: $15.00 each. (10) per day Leeman® soft-cover journals ARV: $10.00 each. (10) per day Boar’s Head “Ichiban Teriyaki” designer t-shirts. ARV: $7.30 each. (80) Social Extension Prizes (10 per each for Facebook and Twitter per week): One (1) $25 AMEX Gift Card subject to its Terms & Conditions including an expiration date. ARV: $25 each.